The 2018 ECS Boards SUP State Titles and the 2018 Australian Skin Cancer Clinics NSW Longboard Titles pres. by HIF will call Port Stephens home from the 19th - 24th June 2018. The two state title events will form the Port Stephens Surf Festival and decide the NSW Teams for the upcoming Australian SUP Titles in Currumbin and the Australian Longboard Titles at Tweed Heads. 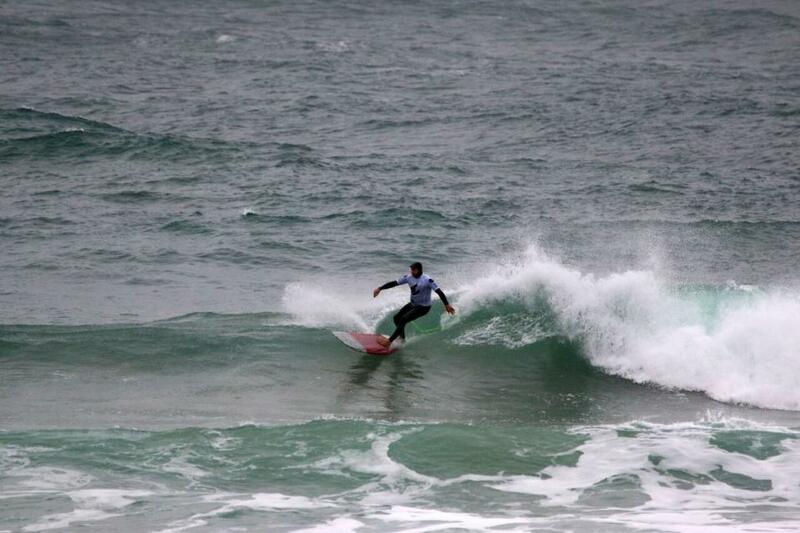 Despite some horrific weather on the NSW coastline, longboard competitors were greeted with punchy two-foot peaks for the Australian Skin Cancer Clinics NSW Longboard Titles at One Mile Beach as part of the opening day at the Port Stephens Surf Festival. 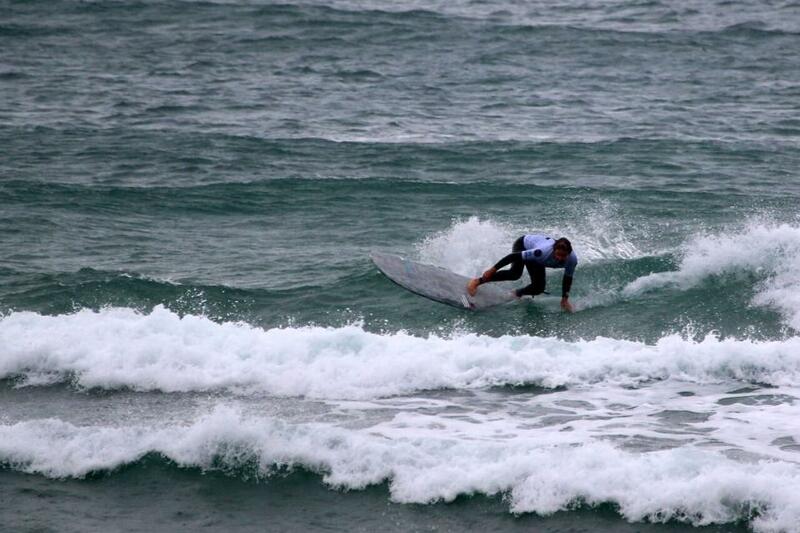 Multiple Australian Title holder Jason Livingston (Curl Curl) showed why he was considered one of the nation’s best longboarders, dominating the Over-45 Mens round one. Livingston performed an array of powerful frontside turns to post a giant 16.5 two-wave heat total. Livingston will make his next appearance when the event kicks off tomorrow. Having competed for the better part of half-a-century, Danny Bond (Blue Bay), showed the competitive fire still burned strong, with the Central Coast surfer taking victory in his opening Over-70 and Over-65 Men’s exchange. Bond was able to put respectable scores on the board in both heats with him posting 12.67 in the 70’s and 14.00 in the 65’s. John Skinner (Warilla) and Mark Ingleby (Emerald Beach), both made their intentions known in the Over-60 Men’s division with both surfers taking top honours in their opening heats. Both surfers posted heat totals in excess of 12.94 to claim wins and cement their position straight into the semi-finals. Charlie O’Sullivan (Woolgoolga) showed his versatility taking an opening heat victory in the Over-50 Men’s, just days after he put on an impressive performance at the HIF Surfmasters. O’Sullivan sent a warning shot to his fellow surfers, posting a giant 14.00 two-wave heat total to earn his position into the semi-finals. The Port Stephens Surf Festival comprises of the 2018 ECS Boards SUP State Titles and the 2018 Australian Skin Cancer Clinics NSW Longboard Titles pres. by HIF and will decide the NSW Teams for the upcoming Australian SUP Titles in Currumbin and the Australian Longboard Titles at Tweed Heads. The Port Stephens Surf Festival is proudly supported by Australian Skin Cancer Clinics, ECS Boards, Port Stephens Council, Oasis Wellness Center, AirAsia, H2Coco, Toyota, Mothernest, NBN, and Surfing NSW. The first NSW champions were crowned today as the 2018 Australian Skin Cancer Clinics NSW Longboard Titles pres. 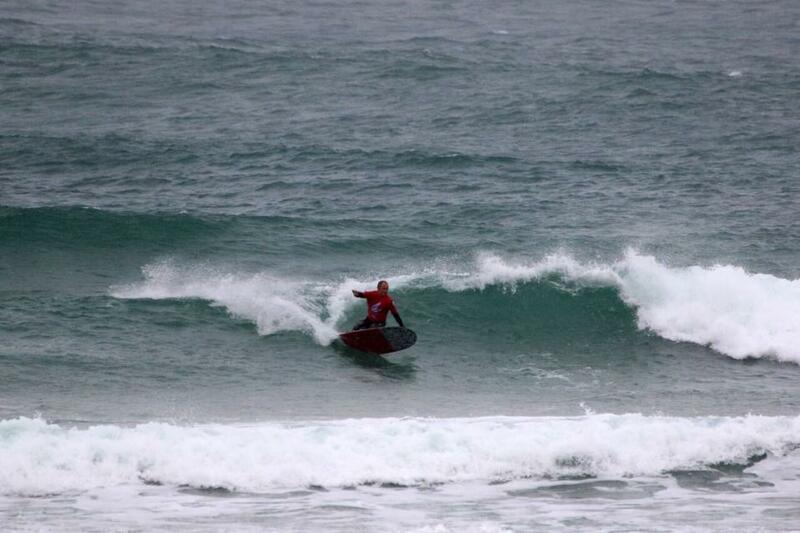 by HIF mowed through day two of competition in contestable three-foot surf. Danny Bond (Blue Bay), Charlie O’Sullivan (Woolgoolga) and Jason Livingston (Curl Curl) all ensured that their impeccable run of winning titles remained intact with Bond taking out two of the elder divisions - the 70’s and the 65’s - while O’Sullivan claimed the 50 and 55 Men’s and Livingston’s powerful turns allowed him to take top honours in the 40’s and 45’s. As a result, all three surfers have cemented themselves a spot into the Australian Longboard Titles, which will take place in the Tweed region in August. 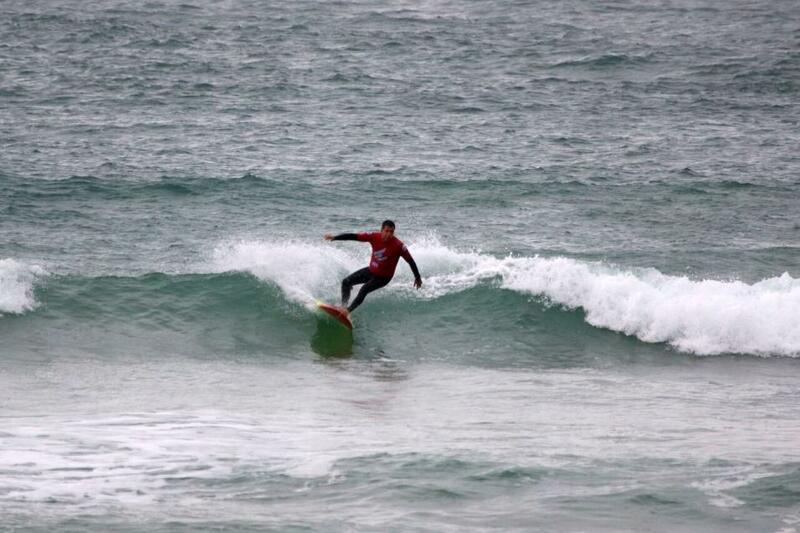 Local Hunter surfer Matt Rawson (Adamstown) ensured one title remained in within an hours drive of the event, claiming the Over-40 Mens Log division. Rawson took out both of his dual finals with impressive heat totals in excess of 13.5 to take the top spot on the dais ahead of fellow event standouts Tony Abood (Kingscliff), Alan Atkins (Ballina), Mike Griggs (Forestville) and Neale Ashby (Halekulani) who claimed second, third, fourth and fifth respectively. Mandy Penhall (Mitchells Island) was the lone female champion on day two of the Port Stephens Surf Festival, taking out the Over-40 Womens division. Penhall went neck-and-neck with fellow finalists Suellen Goyne and Vivienne Cresswell (Narrabeen), but was able to get the nod thanks to a notable 9.27 heat total. Storm Carter (Kingscliff) claimed the win in the Over-60 Men's taking out the hotly contested division with a heat total of 13.8 to get the nod ahead of Paul Guthrie (Arrawarra) who finished in the runner-up spot. The surfing component of the 2018 ECS Boards SUP State Titles saw seven new NSW champions crowned today as the Port Stephens Surf Festival mowed through day five of the event. Josh Stretton (Anna Bay) ensured one NSW SUP Title would remain in the Port Stephens region, taking out the Junior Mens division. Stretton posted two mammoth heat totals in the 17.00 point range to gain the upper hand against the opposition and claim the division convincingly. After an exciting performance in the Open Men yesterday, Kai Bates (Mollymook) was able to capitalise on his earlier momentum, taking out the blue-ribbon division. Bates perfectly synced his lightning-fast forehand attack with the punchy righthanders of One Mile Beach, posting an impressive 14.97 two-wave heat total. Fellow event standouts Harry Maskell (Wamberal), Justin Holland (Kingscliff) and James Casey (Collaroy) all put on valiant performances but had to settle for second, third and fourth respectively. Skyla Rayner (Berrara) will be joining Bates to take an NSW title to the south coast, claiming top honours in the Open Women’s division. Rayner was able to get the edge over her opposition thanks to a runner-up finish and a win in her dual finals to take the top position on the leaderboard and ensure another title would head to the south coast. The competition will commence each day at 7:30am with the call for the day's schedule and location confirmed via the event hotline at 6:45am. The event hotline is 0458 247 212. PORT STEPHENS SURF FESTIVAL WRAPS UP FOR 2018. The sixth and final day of the Port Stephens Surf Festival saw a huge day of longboard and SUP action as the event crowned a range of different champions across a wide array of divisions. 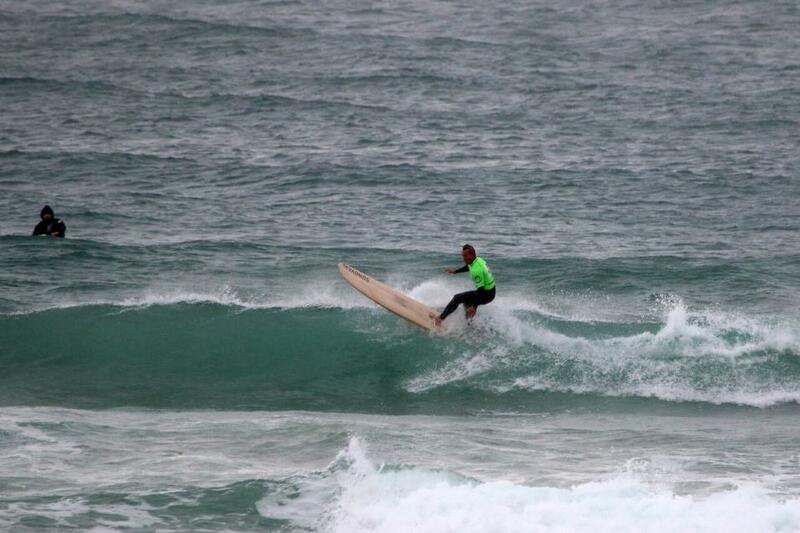 Max Weston (Avalon) fought a tight battle with Frank Murphy (Yamba) to claim the Open Men’s longboard title. Weston put on an impressive display of traditional and exciting frontside turns to post a respectable 14.6 heat total and claim the win ahead of Murphy by less than half a point. 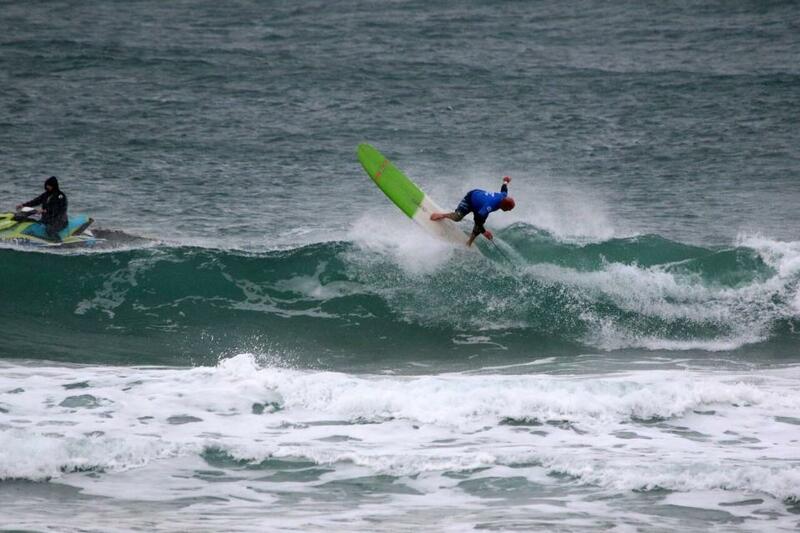 All finalists have earned themselves a spot into the NSW Team for the Australian Surf Festival. Former Australian Champion Tully White (Allambie Heights) added another prestigious accomplishment to her portfolio taking out the Open Women’s division. White posted two impressive heat totals in excess of 16.00 to gain the upper hand against her opponents and take the top spot on the dais. Following in the footsteps of his world-renowned longboarder brother Dane Pioli, Jayce Pioli (Milton) put on a thrilling display of traditional longboarding to take out the Open Men’s Logger title. Pioli put on a healthy display of style and flow to notch up a 15.1 two-wave heat total and take out the win ahead of Open Men’s champion Max Weston (Avalon) who took out the runner-up spot. In the racing divisions of the ECS Boards SUP State Titles, Ty Jusdon (Boomerang Beach) and James Casey (Collaroy) claimed one win and a runner-up each with Judson taking out the Marathon race while Casey took top honours in the Technical race. Both SUP riders went neck-and-neck over the two races with only three minutes separating the two in the Marathon and less than a second in the technical. Terrene Black (North Entrance) took a clean sweep of victories across the Marathon and Technical race divisions. The accomplished racer put on a valiant display over the two races, finishing the Marathon in one hour 46minutes and 58 seconds and wrapping up the Technical race in 36 minutes and 38 seconds. All results from both the ECS Boards SUP State Titles and the Australian Skin Cancer Clinics NSW Longboard Titles can be found below. The Port Stephens Surf Festival comprises of the 2018 ECS Boards SUP State Titles and the 2018 Australian Skin Cancer Clinics NSW Longboard Titles pres. by HIF and decided the NSW Teams for the upcoming Australian SUP Titles in Currumbin and the Australian Longboard Titles at Tweed Heads.